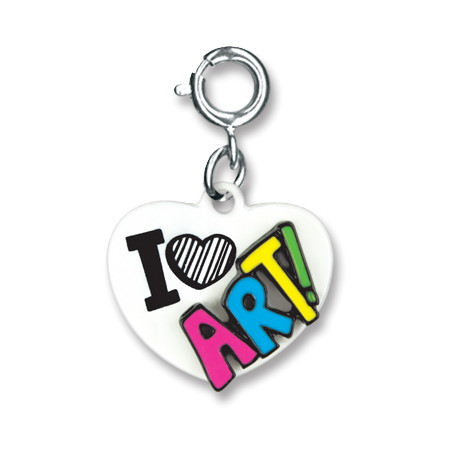 Bring out the creative spirit in your favorite artist with this fun CHARM IT! I Love Art! Heart charm. Starting with a clean white heart slate, the front of this colorful charm features an artistic I Heart followed by Art! in vibrant, raised letters of hot pink, turquoise blue, yellow, and lime green enamel. 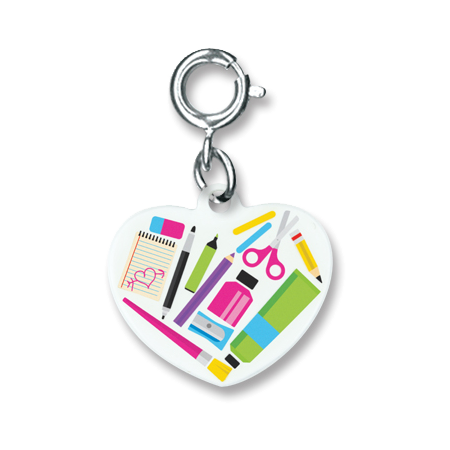 The back side of this artsy charm is covered in the tools of the trade... pencils, paints, paper, and more. This CHARM IT! I Love Art! Heart charm adds a colorful splash of personality to your charm bracelets and is a great way to display your creative passion. This fun CHARM IT! 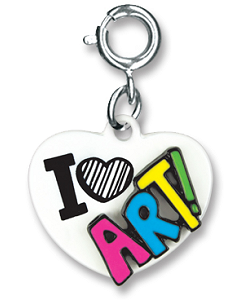 I Love Art charm is a great way to add a splash of creative personality to your charm bracelet. This beautiful CHARM IT! Paint Palette charm is sure to bring out the creativity in your special artist. This artsy Paints Art Set charm features an artistic paint set cover and opens to reveal a palette of 5 vibrant heart-shaped colors.